Tree Ottawa is pleased to be setting up a booth at Velofest: the City’s annual 20 km night bike ride. The night ride begins at City Hall this Friday night September 25, 2015 at 5pm and ends at the renowned Experimental Farm. Please join us for an exciting night of celebrating and promoting green travel within the city. We will be set up promoting our goal to plant one million trees by 2017. 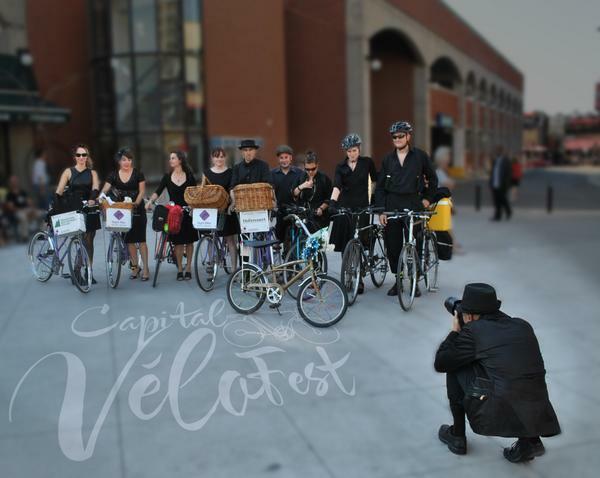 Please join us for the incredible Capital Velo Fest “Tour La Nuit”. Capital Vélo Fest is an Ottawa based non-profit organization whose main objective and mission statement is to “Inspire people of all ages to ride a bike more often”. Cycling promotes a green way of travel by reducing carbon-emissions and is good for an individual’s health and well being and also reduces the need for continued road repair in our infrastructure. Ottawa’s gorgeous network of bike paths and trails is an ideal environment to foster healthy practices and promote community health within the region. The event kicks off Friday on the grounds of Ottawa City Hall at 5pm and ends at 11pm. Interested participants are to register in order to take part in the festivities. 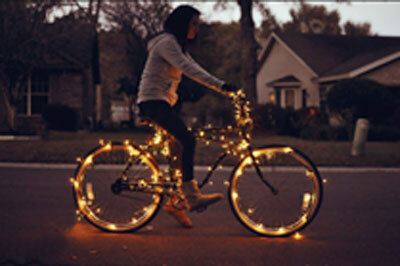 To add flare to your bike, you are encouraged to decorate your bicycles at home and bring them over to City Hall from 7-7:30 at the festival staff will provide a glowing neon tube light for the inside of you bike wheels. 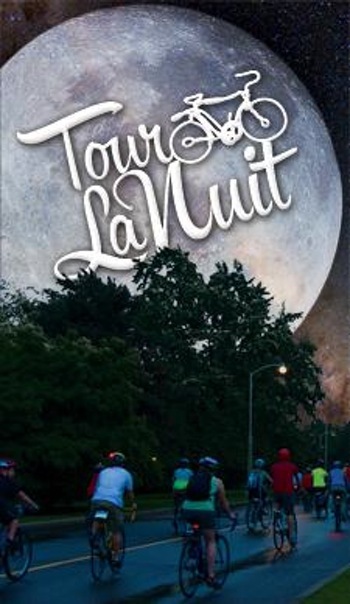 The “Tour La Nuit” ride will start at 7:30pm.You must pre-register in order to participate. There will be onsite entertainment before and after the ride featuring live bands, a bike-powered smoothie machine which delivers up lovely blends as well as margarita’s! A local brewery will be on site to serve tasty draft and many vendors of delicious food. As the festival promotes on their website “this exhilarating 20 km ride under stars without any cars provides a magical tour through the city. With live music and other animations along the route, enjoy a night ride like no other!” Novice bikers should not be intimidated. The festival welcomes riders of all experience levels. Children under 12 are free but must register with an adult. Please Join Tree Ottawa for this amazing event. Come out and support our inititative. Register online today. Print and bring your registration confirmations to the festival.